HÖSS WAS SEIZED on March 13, 1946, on a farm in the British Zone where he had spent the past several months as a common laborer. His affidavits deserve particular attention: for many years historians have been content to merely quote extracts from Höss' affidavits, usually the one from April 5, 1946, as proof of the mass gassings. The popularity of this affidavit, also known as PS-3868, is directly related to the fact that it is the only thorough narrative concerning Auschwitz made by Höss that was entered into the trial record at the IMT. In later writings, Höss would claim that he had been severely beaten in the early period of his confinement, and later revelations, largely developed by Robert Faurisson, indicate that he was systematically tortured, largely by sleep deprivation. These factors probably explain the incoherence of his very first affidavit of March 16, 1946, which betrays a British influence in its many references to Belsen. The most interesting of these concerns a legend concerning 1,800 Belsen inmates who were sent to Auschwitz, a particularly venerable Holocaust story. 1. Mass gassings began in the summer of 1941 and continued until fall 1944. 2. 2,500,000 were gassed, another 500,000 died from other means for a total of 3 million. 3. Höss left Auschwitz in December of 1943, but he kept informed. 4. The "Final Solution" meant the complete extermination of Jews in Europe. 5. Höss was ordered to establish extermination facilities in Auschwitz in June, of 1941, on direct orders from Himmler. 6. Höss visited Belzec, Treblinka, and Wolzek, where carbon monoxide was used. 7. Höss decided to use Zyklon B. 8. "We knew when the people were dead because their screaming stopped." 9. Gas chambers could hold 2,000 people at a time. 10. Children were invariably exterminated and mothers tried to hide their children. 12. The stench from the burnings informed everyone for miles around that exterminations were going on. Offhand, the affidavit seems impressive and authoritative. But on closer analysis it is clear that the document contributes absolutely nothing to what was already known as a "fact of common knowledge" at the time. Indeed, it seems remarkable that nearly all prior commentators on Höss fail to recognize the significance of the fact that by the time of his capture the gassing narrative had achieved almost finished form at the bar of the International Military Tribunal. In detail: that the exterminations were directly ordered by Himmler simply repeats the unsubstantiated assertion found the Höttl affidavit of 1945. The idea that the exterminations went back to 1941, and that the Final Solution was a code word for the extermination of the Jews, goes back to the Nuremberg testimony of Dieter Wisliceny, Bach dem Zelewski, and Ohlendorf given in January, 1946. The emphasis on the fate of the children reflects the testimonies of Shmaglevskaya and Vaillant-Couturier in January and February. The reference to the stench of the burnings is, as we shall see, a hoary exaggeration that goes back to rumors of the euthanasia campaign in 1941. The claimed number of victims for Höss' tenure -- 2.5 million gassed and 0.5 million dead by other means -- is traceable to the confession of Grabner the previous September. Both reflect the calculations of the Soviet Special Commission on Auschwitz, which claimed 4 million for the entire period of the camp's operation, which, if it came to 3 million by the end of 1943, implied approximately 1 million in 1944. It is also interesting to note that the range of victims -- 2.5 to 3 million -- as well as other details, coincides with the testimony of Pery Broad at the Tesch and Stabenow trial in Hamburg just weeks before. On the other hand, there was no "Wolzek" camp, and none of the three camps Höss claimed to have inspected existed in 1941. The April 5, 1946 Höss affidavit is simply a confirmation of what was already known. What it contributed was not new, and where it was new it was clearly wrong. It provides no elaboration or explanation for any of the claims which it repeats, in fact, most of Höss' testimony at Nuremberg, ten days later, consisted of making statements that failed to confirm the contents of the affidavit. After his testimony on behalf of Kaltenbrunner, his cross-examination by the prosecution consisted merely of nodding or answering "yes" as his affidavit was read into the record. The affidavit is ultimately an extension and confirmation of the Canonical Holocaust as represented by the Soviet Special Commission on Auschwitz. As such it is practically valueless from a historiographical point of view. Nevertheless, it cannot be denied that Höss' statements speak with great authority to most historians due to his role at the commandant of Auschwitz. Therefore the peculiarities of this affidavit require further study. The best way to do this is by reviewing the previous record of interrogations and affidavits. It soon becomes evident that the affidavit of April 5, 1946 drew not only on the antecedent interrogations but also on the affidavit of March 16. It is therefore necessary to take a closer look that affidavit. We recall first of all that according to a number of sources, Höss was beaten and deprived of sleep for perhaps three days while the March 16 affidavit was being prepared. This is important to note because it suggests that pressure was being applied to Höss during these initial interrogations. One can easily imagine, for example, that a prominent Nazi might have been beaten upon entering custody. Yet sleep deprivation is something else, it is not a punishment one would inflict on someone in anger or in a rage. Hence there exists a strong suspicion that Höss was deprived of sleep in the course of his interrogation, in order to manipulate his responses. I was given the order, by a higher authority the then inspectorate of concentration camps, to transform the former Polish Artillery Barracks near AUSCHWITZ into a quarantine camp for prisoners coming from Poland. After HIMMLER inspected the camp in 1941, I received the order to enlarge the camp and to employ the prisoners in the to be developed agricultural district and to drain the swamps and inundation area of the Weichsel. Furthermore he ordered to put 8-10000 prisoners at the disposal of the building of the new Buna Works of the I.G. Farben. At the same time he ordered the erection of a POW camp for 100 000 Russian prisoners, near BIRKENAU. The number of prisoners grew daily in spite of my repeated interventions that billets were not sufficient, and further intakes were sent to me. Epidemic diseases were unavoidable because medical provisions were inadequate. The death rate rose accordingly. As prisoners were not buried, crematoriums had to be installed. In 1941 the first intakes of Jews came from Slovakia and Upper Silesia. People unfit to work were gassed in a room at the crematorium in accordance with an order which HIMMLER gave to me personally. I was ordered to see HIMMLER in BERLIN in June 1941 and he told me, approximately, the following:- The Fuehrer ordered the solution of the Jewish Question in Europe. A few so-called Vernichtungslager are existing in the General Government (BELZEK near RAVA RUSKA East Poland Tublinka near MALINA on the river Bug, and WOLZEK near Lublin). The first thing we notice upon reviewing this excerpt is that Höss is providing two different narratives. According to the first two paragraphs, in 1941 Himmler visited Auschwitz in order to direct the expansion of the camp (which would have meant Birkenau) with a view to establishing a quarantine camp. The establishment of a quarantine camp in turn implies a function similar to the disinfection center established at Auschwitz twenty years earlier by the Americans, while the quarantine itself implies the later transfer of prisoners into Germany for labor purposes. The increased transports and the increasing epidemics (which presumably would have meant 1942) accords with all sources, and provides a ready explanation for the construction of the crematoria which were planned in the summer of 1942 and were completed in the spring of 1943. On the other hand, the very next two paragraphs tell a completely different story, albeit one more or less consistent with the affidavit of April 5. According to this one, Höss was called to Berlin in June 1941 for a meeting with Himmler, and was told to arrange for the extermination of the Jews. For this reason, he conducted a tour of the other extermination camps in 1942, yet still back in this 1941 meeting I had to make the preparations at once. He [Himmler] wanted the exact construction plans in accordance with this instruction in four weeks. In other words, from June, 1941, Höss was now to be constructing crematoria with gas chambers for the purpose of exterminating the Jewish people. Q. To come back to the facts about your trip to Treblinka. If I understand you correctly, you told me the other day that you visited Treblinka in 1941. Q. And in another statement by you, made at another place, you said you visited Treblinka in 1942. Which year is correct? A. 1941 is correct. If I said 1942, it was incorrect. Q. But you said you received the order from the Reichsfuehrer SS in person. Q. About July, 1941? Where did you see him? A. I was ordered to him in Berlin. Q. Are you sure it was after the Russian campaign had started. A. No, it was before the Russian campaign had started. Q. Then it couldn't have been in July. A. I cannot remember the exact month, but I know it was before the date that the Russian campaign was launched. Q. 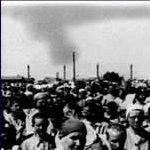 Did the camps in the East come under the Inspectorate of the Concentration Camps? A. Only those that I mentioned in the Baltic countries, as those labor camps belonging to the Riga territory, and Lublin, Warsaw, and Krakow, which I mentioned before. Q. How about Treblinka, Wolzek, and Belzek? A. They came under the commander of the Security Police and Higher SS and Police Leader of Krakow. Therefore, with respect to the second narrative of the March 16, 1946 affidavit we can say that there is no doubt that Höss claimed his meeting with Himmler took place in June, 1941, that he inspected the other extermination camps at that time, and that he prepared plans for gas chambers and crematoria within a few weeks of that meeting. The reference to "Wolzek" is of importance mainly because its mention by the American interrogator establishes that the March 16, 1946 affidavit was used as the basis for these interrogations as well as for the drafting of the April 5, 1946 affidavit. At this point we have to exercise some judgment, and attempt to reconstruct the sequence of events. In the first two paragraphs of his March 16 description of events at Auschwitz, Höss sets forth a narrative that corresponds with all currently known facts about the camp. In other words, the account is objectively true, the only questionable aspect concerns the rationale behind the crematoria construction. On the other hand, in the second two paragraphs Höss provides a narrative that cannot possibly be true, but which accords with conventional wisdom in a general sense in terms of crematoria construction and Jewish exterminations. It is doubtful if Höss, unbidden, would have told two completely different stories one right after the other. We surmise therefore that Höss was pressured, probably by sleep deprivation, at some point between the two narratives. Now the question concerns the order of the stories. We can imagine a situation where Höss might have been pressured after the first narrative in order to produce the second one, but it is not believable that Höss would have been pressured to produce the first one after freely offering the second. The reason should be obvious: the first narrative provides an innocuous rationale both for the construction of Birkenau as well the crematoria, and furthermore contradicts the second narrative. It follows therefore that the first narrative was the original narrative that Höss offered. I imagine about 3,000,000 people were put to death, about 2,500,000 were put through the gas-chambers. Those numbers are officially put down and personal experiences also by Obersturmbannfuehrer EICHMANN in a report to the specialist on Jews in the RSHA to be passed on to HIMMLER. Those people were mostly Jews. I personally remember during my time as Camp Commandant at Auschwitz the order from the Gestapo to gas 70,000 Russian Prisoners of war which I did. The highest number of prisoners put through the gas-chambers at AUSCHWITZ was 10,000 in one day. The limit of what the installations could do. I also remember the big transports which arrived: 90,000 from Slovakia, 85,000 from Greece, 110,000 from France, 20,000 from Belgium, 90,000 from Holland, 400,000 from Hungary, 250,000 from Poland and Upper Silesia and 100,000 from Germany and Theresienstadt. Here we have another implicit contradiction: first, the claim that three million were put to death, of which 2.5 million were gassed, and that they were "mostly Jews" but that at the same time only slightly over one million Jews "arrived" at the camp. As already noted, the 2.5-3 million range is false, and was never supported by any written document. But the distribution of the Jewish transports is remarkably consistent with numbers Höss would come back to again and again, and with the exception of the Hungarian and Polish numbers, accords more or less with universally accepted calculations. At this point, we will simply note that Höss references the "arrival" of these Jews but not their deaths. The final question we have to deal with here is the state of mind of his interrogators. If the first narrative is correct, and the second narrative false, why would his interrogators allow him to make what in retrospect are such obvious errors? The simplest explanation is that his interrogators did not recognize the errors as such, which indicates that they were acting more or less in good faith, but under a cloud of ignorance. Interrogating the commandant of Auschwitz, with a general sense of what had happened, based on such documents as the WRB Report, the Soviet Special Commission on Auschwitz, and the ongoing International Military Tribunal, the interrogators simply led the interrogation -- and the sleep deprivation -- in order to get him to provide a version of events that would correspond not so much with what they knew, but what they felt would be the truth. The erroneous details of the March 16, 1946 affidavit loom larger when we realize that all of the interrogations leading up to the preparation of the April 5 affidavit are based on it, in an almost literal page by page sequence. We also find, in reviewing those early April interrogations, that Höss coolly repeats again and again the same false statements from the prior affidavit -- sometimes, admittedly, with some confusion, which usually led to some prompting by the Americans as to where he should be going with his answers. But the interrelationship of the materials is very important. Reading the interrogations of April 1-4, 1946 in isolation, one is generally impressed with the manner in which Höss frankly describes the development of an extermination program. He must be telling the truth. On the other hand, the researcher is likely to be crestfallen as Höss repeats other statements that couldn't possibly be true. He must, for some reason, be lying. It is only after comparing the various statements that one begins to understand that by April, 1946 Höss was mechanically repeating the story elicited from him in March, and that narrative structure, including the 1941 extermination order, and the visits to non-existent camps, would be a feature of all subsequent affidavits. Within a few weeks, Höss was transferred to Poland, where he was extensively interrogated prior to hearings in Krakow in December, 1946. A number of affidavits were prepared in November, and these, stitched together with the memoirs he penciled in early 1947, have frequently been issued as his "Autobiography." A feature of one of these affidavits, "The Final Solution of the Jewish Question" contains elements that differ from the previous affidavits but retains most of the same errors. The main feature of this affidavit is that Höss distanced himself from the figure of 2.5-3 million victims, which he blamed on Eichmann and British torture, while repeating the distribution by nationality of about one million Jewish arrivals. It is frequently stated that the "Autobiography" was composed in its entirety after Höss was sentenced to death, so that he would have had no reason to lie or shade the truth. This does not appear to be accurate. Whatever the determination of the Krakow hearings, Höss was not put on trial until March 11 of 1947, the trial lasting for almost three weeks. At his trial, Höss admitted to all charges and directed all of his questions to witnesses with a view to bringing down the total number of victims, cited in the indictment as "about 300,000 camp registered inmates", "about 4,000,000 people mainly Jews brought to the camp from different European countries to be killed upon their arrival" and twelve thousand Soviet POW's. On the other hand, Höss did contradict his November, 1946 affidavit in court by claiming that the total killed was 2.5 million. It appears that Höss' questioning had some effect: in its verdict, the court determined that "an undetermined number of people, at least 2,500,000, mainly Jews" were murdered. Höss was sentenced to death on April 2, 1947, by the Supreme National Tribunal of Poland, just two weeks before he was hanged, and two months after his memoirs had been completed. The memoirs themselves are a model of incoherence and contradiction, containing a number of demonstrable untruths, as for example the reference to the secret files recording the "several millions" of Germans who were killed in the Anglo-American bombing campaign. Nevertheless the memoirs, or more precisely the November affidavit on the "Final Solution" attached to them to form the "Autobiography", remain the most frequently cited source for the reality of the gassing claim, although what actually happens is that the mere existence of these writings is used to give retroactive authority to the problematic April 5, 1946 affidavit, which, as we have seen, leads back to the March 16, 1946 affidavit, which contained numerous false statements extracted under torture. This is a nice capsulized debunking of the Hoess torture 'confessions'. This is dedicated to the tinfoil hats at the so called 'Holocaust History Project' who laughably think that Hoess's forced 'confessions' are to believed. No doubt they find the 'confessions' from Guantanamo and Abu Gharaib believable too. He confessed to 3 million dead just while he was there, which in the total time of the camp conveniently works out to 4 million. The figure from the Soviet Auschwitz Special Commission Report. --USHMM lists the deaths there at 1 million. The believers end up saying "well, maybe he didn't know the real total." Samuel Crowell in his book "Gas Chamber of Sherlock Holmes" points out other 3 million, 4 million confessions also. The allies had their Special Soviet Report template to follow. While Hoess signed confessions which mirror the report, Crowell points out that others "novelized" the report. Like Nyszli.